Elise Morgan is an Emmy nominated journalist who has co-anchored the Best Regularly Scheduled Newscast two years in a row, as awarded by Alabama’s Associated Press. Elise joined WHNT News 19 in November 2006. She anchors WHNT News 19 at 6:00 and 10:00 p.m. You can also watch her nightly health reports on WHNT News 19 at 9:00 on WHNT2. Elise is a native of Texas. Before coming to the Tennessee Valley, she spent two and half years working at TV stations in Dallas/Fort Worth. Prior to that, Elise was the 6 p.m. and 10 p.m. anchor at stations across Texas, including the Waco/Temple/Killeen market. She was at the desk during some of the most memorable stories of that time, including 9-11, The Oklahoma City Bombing, and the Space Shuttle Columbia tragedy. In addition to her work as an anchor and reporter, Elise taught courses for the government on crisis communications and the media, with an emphasis on terrorism. 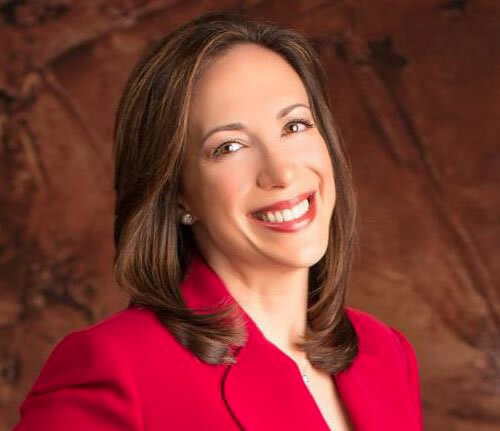 She also anchored and produced programming for the Law Enforcement Television Network, a national satellite network that trains law enforcement officials. Elise graduated with highest honors from the University of Texas with a degree in Broadcast Journalism. Elise has a passion for health that you can see not only in her health reporting, but also in her work around the community. She recently helped organize a health fair open to the Tennessee Valley that offered a number of free tests, including prostate screening, oral cancer screening, bone density, blood sugar, cholesterol, blood pressure, and free immunizations. Her health reports have covered everything from “Andy’s Story”, a personal look inside her brother’s fight with prostate cancer to possible health hazards associated with using cell phones. On a daily basis, she brings the community the latest health findings, research, personal battles, and interesting tidbits in hopes of helping all of us live the healthiest and highest quality lives we can. Every Labor Day weekend, you’ll find Elise fighting for those who are battling neuromuscular diseases. For 10 years, Elise has been a co-host of the Jerry Lewis MDA Telethon, helping fund research and services for those affected by muscular dystrophy. Elise enjoys traveling and has been on a number of adventures including backpacking through Europe and exploring parts of the Middle East. She also enjoys hiking and spending time with her husband, Michael.